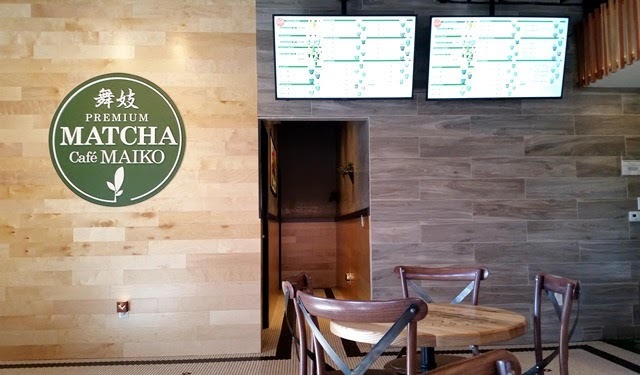 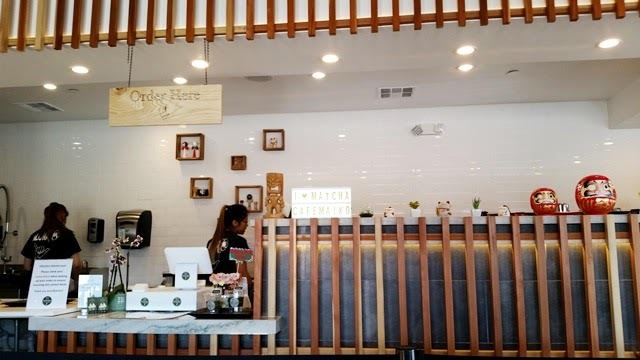 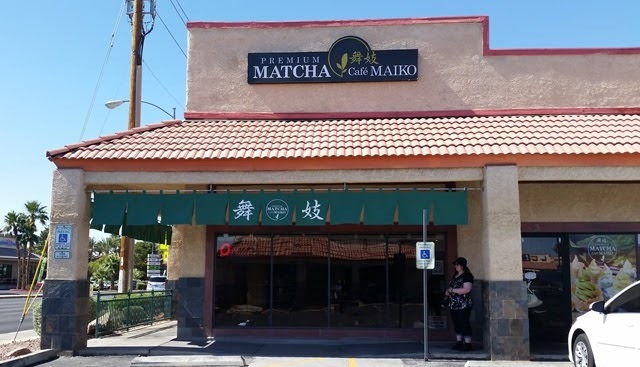 Matcha Cafe Maiko is a recent addition to the Las Vegas' Chinatown neighborhood, opening its doors in April 2018 on South Jones Boulevard near West Desert Inn Road. 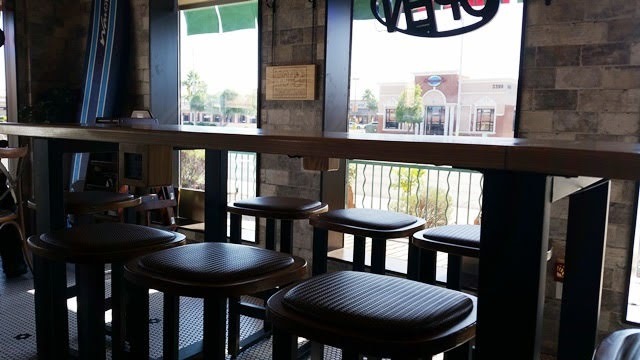 Seating is plentiful at tables and on stools and the room is filled with natural light. 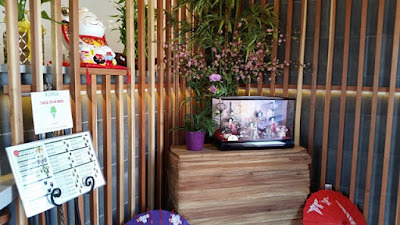 Matcha Cafe Maiko uses matcha from Harima Garden in Uji, Japan. Their menu includes shaved ice and kintoki, soft serve, parfaits, hot and iced hojicha and matcha, hot and cold lattes, frappes, and floats. 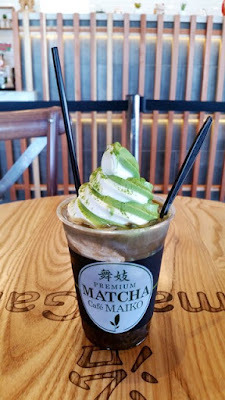 My selection was the best of all worlds, the #33 Hojicha Float with Vanilla & Matcha Swirl Ice Cream. For events and updates, be sure to visit Matcha Cafe Maiko's Facebook page.